Dock Gates, Pipelines, Piling, Support structures. Any splash zone or Tidal areas. Working temperature range of +5 to +30 . Cures in immersed or splash zone conditions. Minimal wastage due to in line mixing head. 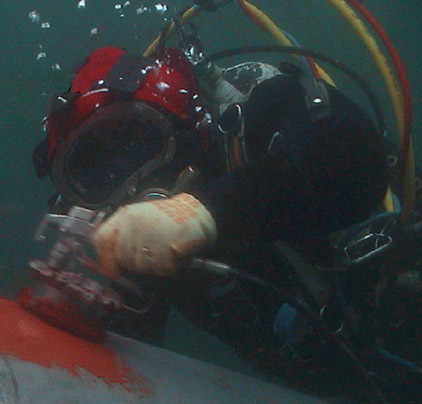 The CoverCat Underwater Applicator has been developed for high volume solids coatings and has been successfully used on a number of high profile applications as part of the CoverCat application system. Apply the coating and 12 hours later it is working surface dry and fully cured in 24 hours.